Will Chynna be Sunshine\'s new rival in<em> Ika-6 Na Utos</em>? 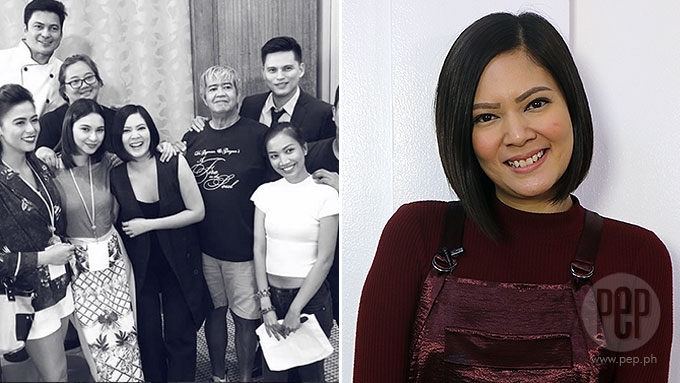 Will Chynna Ortaleza be Sunshine Dizon's new rival in Ika-6 Na Utos? Chynna Ortaleza enters GMA-7's daytime drama Ika-6 Na Utos. Will she be an ally or an enemy to Sunshine Dizon's character Emma? GMA-7 actress Chynna Ortaleza is set to play a new character in the Kapuso top-rating daytime series Ika-6 Na Utos. She revealed this during an exclusive interview with PEP.ph (Philippine Entertainment Portal) last Wednesday, September 20, when she visited the PEP Headquarters together with other Kapuso moms LJ Reyes and Yasmien Kurdi. In fact, Chynna just came straight from her first taping day when she visited PEP.ph. She said, "Sobrang na-surprise din ako kasi hindi ko rin naman ine-expect. I just got the call, they said they were gonna put me in Ika-6 Na Utos. "So, hihindi ba ako dun?! Yeah, sure! "Kasi kumbaga, excited din naman ako to go back to drama after fantasy." Chynna's last project was the telefantasya Mulawin vs. Ravena, which aired its last episode last September 15. Aside from Chynna, Zoren Legaspi will also enter the drama series topbilled by Sunshine Dizon and Ryza Cenon. When PEP.ph asked if Chynna's character will be kind to Emma (Sunshine), she answered with a smile, "No." She said about their characters, "Kami yung parang bagong players dun sa kwento ni Emma coz she’s trying to find her kid. Yung daughter niya na pina-adopt ni Georgia, hinahanap niya and pinagsususpetsahan niya na yung anak ni Zoren 'yon. "He [Zoren] is my ex-fiance slash business partner. Si Ategirl, yung character ko, her name is Maui. Si Maui ay runaway bride. "Iniwan si Kuya Zoren, choosy! Choosy ka pa! Zoren Legaspi na yun, e! Ganoong klaseng matipunong lalaki, mabait, iniwan sa altar!" 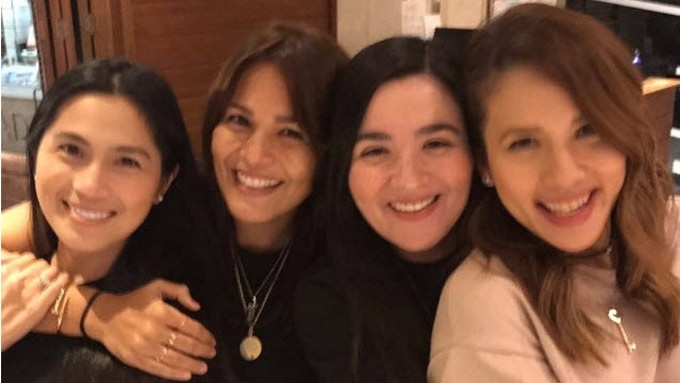 Last September 21, Ryza posted a photo on her Instagram account together with Chynna, Zoren, and other Ika-6 Na Utos stars Gabby Concepcion and Arianne Bautista. Ryza only wrote in her caption: "Happy and blessed." During the interview, it was Yasmien who asked: Does Chynna's entry mean that Ika-6 Na Utos will not end anytime soon? Chynna answered, "Maybe. I don’t know! "Ang tagal na ng show nila. Actually kanina first taping day ko tapos tinatanong ko yung staff, sila Direk [Laurice Guillen], matagal na yung show, mag one year na sila." Ika-6 Na Utos aired its pilot episode on December 6, 2016. GMA has announced that the daytime teleserye will air until 2018.